In the old times Noh theatre was played outside, in the middle of audience, on improvised stages or on the kagura-den of the Shinto shrines. The stage design used today is inspired by the kagura-den, maintaining the connection with the audience by having the stage opened on three sides. 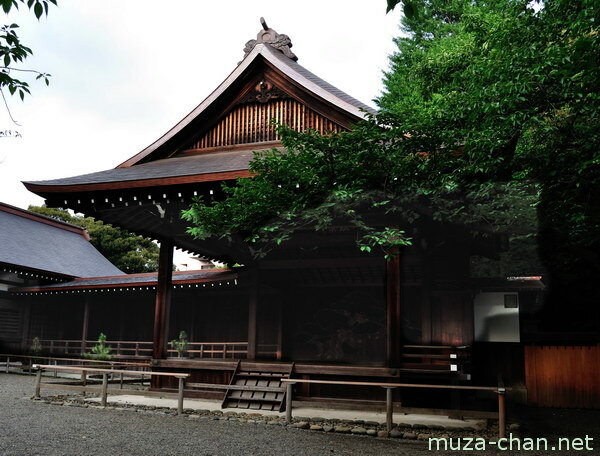 The actors are coming to the stage through a wooden bridge (hashi-gakari) that connects the stage to the “mirror room” (kagami-no-ma), the place where the actors are preparing their entrance.